A reliable gutter guard system can make clearing clogged gutters – one of the most dangerous home maintenance tasks – a thing of the past. 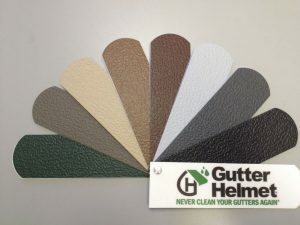 Huff ‘N Puff is proud to be your local dealer for Gutter Helmet, the world’s #1 gutter protection system. We can install this incredible gutter guard on any functional gutters, and the nose-forward design allows it to work on any roof, regardless of slope. These gutter covers work by allowing leaves and debris to slide over the gutter and onto the ground while the unobstructed gutter is free to manage precipitation, accommodating rainfall as heavy as 22 inches per hour. The entire gutter guard is made from a durable aluminum alloy with a strengthening horizontal-rib design, and is attached to the gutter and roof with heavy-gauge brackets designed to provide additional strength and support to your gutters. When you purchase a gutter guard from Huff ‘N Puff you’ll receive our exclusive 5 Star installation service. You can rely on our background-checked, drug-tested employees to always arrive on time, complete their work on schedule and treat your home with the respect it deserves by leaving a clean worksite. We always take time to thoroughly explain your installation process and provide constant communication throughout your project. This incredible customer service has helped us win the Gutter Helmet Presidents’ Award every year since 2002, and earn an A+ rating from the Better Business Bureau. 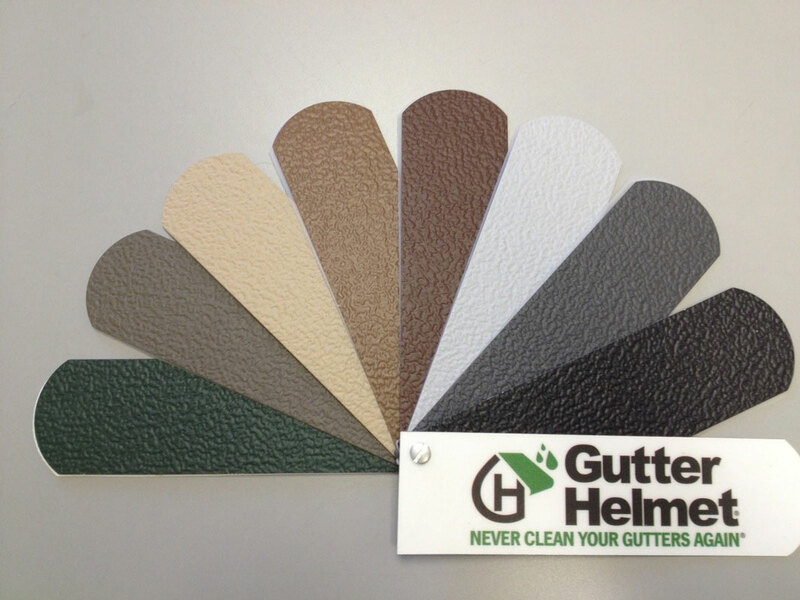 For more information on our gutter guard systems, seamless gutters or to request a quote, call Huff ‘N Puff at (855) 483-3678 today. We’re proud to have served more than 35,000 homeowners in the Hudson Valley and Capital Region.